Focused on handmade, locally produced items and vintage collectibles promoting the regions diverse creativity. 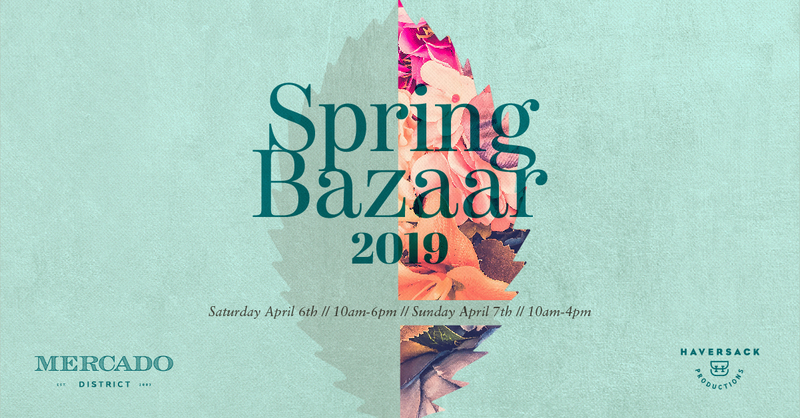 The Spring Bazaar is a curated show that offers regional entrepreneurs an opportunity to showcase their products. Celebrating 10 years, the Mercado Bazaars have become a Tucson tradition for locals and visitors alike. Come shop, eat, and explore the Mercado District during this two day shopping event, showcasing some of Tucson’s finest makers. Vendor Criteria: Handmade and local, vintage and collectibles. No mass-produced product, no national franchise businesses. This is a curated show and there is an application process.